Dailybuzz.ch: Are Mariah Carey and Nick Cannon Headed for Divorce? 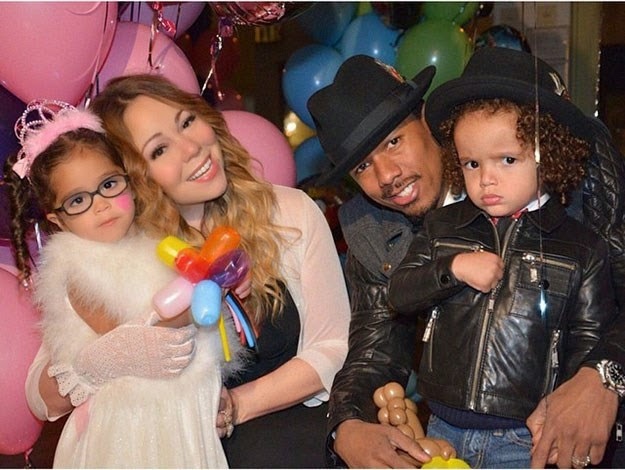 Are Mariah Carey and Nick Cannon Headed for Divorce? Mariah Carey and comedian Nick Cannon are headed for a split and “living separately” after she hired security to keep him away from other women, sources exclusively told Page Six. Another source told us Carey has suspected Cannon of cheating. And when the comic hosted pool parties in Las Vegas earlier this year, the diva dispatched a security guard to keep watch over her husband. “The security guard wasn’t there to keep the girls away from him,” said our source. “It was to keep him away from the girls.” Carey also didn’t want Cannon drinking while at the Vegas gigs because she felt he “gets in trouble when he drinks,” the source added. Usually active on social media, the two have not been photographed together in months, and Carey — who was married to Tommy Mottola from 1993 to 1998 — hasn’t featured Cannon on her feed since June. Rumors swirled this week that the couple were set to officially announce their breakup, and that Cannon had been staying at his grandparents’ house during a trial separation. In July, they put their $13 million Bel Air mansion up for sale. Despite the breakup rumors, Cannon seemed to be all smiles — and had his wedding ring on — at Tao Downtown Monday night for the birthday party for Sujit Kundu, the founder of DJ management firm SKAM artist. Spies tells us Cannon was in “pretty good spirits,” but didn’t stay long. In past years he’s usually stayed longer and hung with the DJs. A rep for Carey declined to comment on personal matters. Cannon’s rep didn’t get back to us.